Splash is a technology company that powers advanced in-person marketing programs for the world's leading brands. "Splash is my favorite tool in my MarTech stack "
I love that Splash helps us prioritize design and data in one platform. As a hospitality tech company, we believe that the guest experience is essential, but we also need to make decisions based on data in order to improve our operations and generate more ROI. The on-boarding process, account management, and support all leave something to be desired. We're a pretty technically savvy team and figured it out, but the whole process is way more self-service than you might expect. Team is a bit slow to respond, but they are generally lovely people to work with. Splash is clearly still in startup mode and has a few kinks to work out with their team and the tech, but we're excited to watch them grow and continue to refine the product. Get it!! It will save you so much time and help you make data driven decisions surrounding events. Also the landing pages and emails are better than anything you'll find in other event platforms or ESPs. Splash has helped us streamline our end to end event management in a number of ways. We're now able to create more aesthetically pleasing, on brand pages in a shorter amount of time, and we're able to track our event data in a more accurate way. We're following up with event leads faster and seeing more opportunities come from events. Conversely, we can now also see which events don't perform well for us so we know how to reallocate budget in the future. Splash has made a big impact on our events strategy and we're so glad it's part of our tech stack. "Revitalizing our events process with Splash"
The speed at which we can move is incredible. I don't have a stat line to tell you how much time we've saved building events, but the impact is significant. We can collaborate in an event much like a Google doc which has brought our team closer to the process and inclusive. It's not only changing the look and feel of our events program, it is changing the way we work too! Not having an asset library built into Splash. This tool brings all of your event efforts into one place. Designers, copywriters, field marketing and digital marketing all land here to collaborate. Speed, scale, brand consistency, data repository, and a nice sync to Marketo/Salesforce. The tool is bringing our Field Marketing and Digital Marketing teams closer together. It's brilliant! What Event Marketing solution do you use? "Splash allows me to streamline the event invite and check-in process"
Having one platform that makes not only my job easier but easier to work with different sectors of my company. With the Salesforce integration, I am able to work with our sales team to build an invite list and then easily sync it with Splash. This is also extremely helpful with tracking event ROI and keeping everyone updated internally on RSVP's. With Splash we are able to easily bridge the gap between marketing and sales. We are able to turn event attendees into sales leads and build a database of our event attendees. "Splash – game changers in event communications"
Ease of use. The software has a similar interface to other web platforms such as Squarespace & Wix, so it didn't take long to get up and running. Wherever I encountered a question or problem, Splash would almost certainly have a training resource to help my query, or their great customer support team would be on hand to help. Design features aren't as extensive as some other larger, design web platforms. Do not hesitate. The platform for us, paid for itself within the first couple of months, just in terms of time saved. It has really added value to what we do, and has been really well received throughout the business. We have evolved how we produce internal communications for our extensive range of events that our company puts out. Our events are key to the culture our company tries to employ. The past 6+ months using Splash has really added value to what we do. "Thank you, Splash, for elevating Ad Age events!" I love that Splash offers two "modes"--Designer Mode and Designer Pro. Both modes are very user friendly, but it helps that Splash offers training at both levels. I recently reached out to our account manager, Christina, to request a custom template, and to my delight the template was ready a few hours later! So needless to say, our team is extremely pleased with the level of support and attention we've received. So far, no dislikes! Whenever I run into trouble, I know I can contact support and be met with a helpful response in a timely manner. I particularly appreciate that Support provides videos showing the fix in action! Definitely utilize trainings! The platform is vert user friendly, but there a lot of benefits that are explained thoroughly during trainings. Splash pages allow us to save time and resources when promoting an event, while still producing a high-quality page that is on-brand. The benefits we've enjoyed include awesome-looking event pages including our own custom templates, the ability to easily track RSVPs, and an awesome account manager, to name a few things. There are so many features about Splash that I find useful, to start with is the ease of creating and scheduling emails, with the Google Calendar feature. I also love the mobile app for check in at my events. It makes it so easier to know who our attendees were and send a thank you email. There isn't anything I currently am having issues with on Splash. Although splash is available free, it is definitely worth paying for the platform. It helps keep your branding consistent and you have access to better features. Splash helps us track our ROI from events with the check in feature, which is super beneficial. "The perfect tool to streamline your event marketing skills - Especially as a beginner! " I came across the free version of Splash when I got "thrown-in" to a new role, one I was interested in, but new little about. Starting a new role at an event-heavy organization was daunting, so I was searching for the best tool for the job. It's simple to use, even simpler after all the trainings and workshops you can join, and truly makes an event planners job easier! A beginner can create beautiful event pages, invites, and reminders with ease. 2 years later, I've convinced internal leadership at my company to invest in the business version so we could sync with our CRM and I couldn't see myself using any other event marketing tool. The only thing I dislike is when sometimes the HTML code gets messy when forwarding Splash Invites to other inboxes. Our Sales team prefers to do things a bit differently and send out their own invites in outlook vs using the email sender. I only use the email sender to communicate with RSVPs. Luckily, Splash has an amazing and responsive Support team that helped figure out why that was happening. If you're looking for a tool that's super fast to implement within your organization, something to help you streamline all of your event marketing processes, and an easy-to-use interface, Splash is it. I can easily sync our leads/RSVPs with Salesforce with ease which helps us tract leads and campaign ROI without all the manual effort. "Splash and how it streamlined our events"
As a global company, prior to using Splash, individual teams were using a variety of event platforms from Eventbrite to Google forms with little brand consistency and, most importantly, no integration with Salesforce, our CRM. I like our brand-customized templates which make it easy to look great, the intuitive backend, and of course, Salesforce integration to measure the ROI of our events. (plus they're team is kind of awesome and hilarious). Tough one. There's new features we want (concurrent session registration, integration with other apps), but often these are in Splash's product pipeline, so nothing has been a major barrier thus far. It can seem like a large ticket price for the paid version, but you get what you pay for. High quality product, constantly adding features, excellent customer support, and beautiful design. Brand consistency, Salesforce integration, measuring ROI of events, low-fees on ticketed events, and constantly impressing our guests with a great interface. What I've realized is the demand for Splash pages in our office has increased four fold over the last two years. Once you have a beautiful platform, it's hard to go back. We've also been able to track our attendees engagement with us post-events. What I like best about Splash is not only their top of the line events platform that allows our regional marketing managers to seamlessly create events and track their attendees, but also Splash's extremely fast and professional success team. Any time I've needed help—whether it be design, back-end dev, or even a simple email question—a Splash representative has responded quickly, and with an answer. Can't beat that! Like all products, Splash is constantly improving and actually in communication with its clients in regards to innovation and how to continue driving success. An automatic waitlist for Splash's ticketed event system would definitely help trafficking attendees and take the task away from the actual event planner. Additionally, Splash would also help clients by creating a media gallery feature that would allow clients to house their own photography and imagery without having to rely on stock. Absolutely consider Splash, without any doubt. Even if its inquiring with their team to meet for a kickoff meeting, you will not regret working with the platform and the team. Splash has elevated our digital presence and allowed our members and event attendees to engage with the brand in a way that would prove extremely difficult without the Splash platform. Being able to house and manage attendee data (names, emails, and any other information that we pull from events) is also incredibly invaluable, and Splash has made the analytics and data collection effortless for us. There are plenty of benefits working with Splash. Using the platform means working with their dedicated and extremely talented team (never have I worked with a platform/vendor that cares so much about events and success). For example, the design team was able to create our event and hub templates within a week (and that included Q&A testing on their end). And even when we had a few minor errors with the templates, the Splash design team remedied those errors almost immediately. And I cannot harp on this any more: the Splash platform can open the door to an incredible amount of attendee data that cannot be found anywhere else, *especially* with the SalesForce integration. As a new member of the Customer Engagement team and therefore new to splash, I found I picked up the basics to the tool soon enough, but then with the proactive support of the splash team I found it quickly became second nature. Focused on delivering exciting and bespoke events internally & externally, Splash encourages a creative license to elevate our events and prioritise data across one platform. This approach allows for better communication with our customers and therefore a more enjoyable customer journey, which in so inspires a natural buzz prior to our events! The template can sometimes feel static and restrictive. I have experienced a few formatting glitches, however other than this I can’t complain. If you're ever in doubt, contact the team! They are fab! A time saving, streamline approach to event management! I appreciate how easy it is to build, create, and use the Splash tool. It offer functions that are easy to include in a site and the attendee communication within the tool. I wouldn't say dislike, but one thing that i wish Splash offered was a way to include a confirmation QR code on another email other than the confirmation email. I usually send a reminder or final details email to attendees, and this is one piece that would be nice to include. We send the registration website to over 50,000 employees for various internal Amazon events to capture attendance, guests, and to be able to communicate details regarding the event to just those who register. By using this tool we have made our registration more efficient for our employees who register and the information we capture for their needs. I love SplashThat's easy to use interface. I get to customize all of my event landing pages. Its great because I get to create a page thats on brand and keeping with each event's theme. I love the templates and options they provide which makes it easy to design a page from scratch. It goes beyond the landing page and also allows me to customize the form customers fill out and the confirmation page and email they receive. Lastly, I love that I can then use the website to check guests in at our events making it an all in one tool for our event registration and tracking. The only complaint I have is that it doesn't integrate with Salesforce. It would be great to have contacts automatically load into a campaign when they register. Right now I have to do this manually. Maybe this is soon to come?? I use SplashThat specifically for our event registration, tracking and day-of check in. Its made the process so much more creative and less time consuming. "Fast, Efficient, Great Customer Service"
I like how user friendly, sleek, and responsive SplashThat is. They have multiple design options for you to choose from even in the free service. It's very intuitive and allows for a unique design option if required. It's great for a quick workshop or summit website with your own branding. When there is an issue, the SplashThat team is quick to respond and understands what you need. They are very open to feedback as well. Small glitches when editing, like when i add more than 3 rows of Speaker bios/headshots, the website tends to automatically scroll up while you are typing. Attendee tracking through the website is great and having professional email templates at your fingertips associated with your event really took our events up a notch. "I LOVE that we have Splash!" I love that Splash is easy-to-use, yet produces a solid, viable and attractive product! I use Splash to create reg pages, invites and reminders for our local regional marketing events for Okta. I can turn this around QUICKLY, which helps my progress toward efficiency. Work smarter, not harder! "Splash Understands What Makes an Event Successful"
Splash understands that the "front door" is critical to attracting attendees. They are a design-first product and that's important to event organizers & brands that require their image and identity to translate into their events. It has features, like analytics, that are not particularly easy to get to, so I don't use it. If you are looking to leverage events as a means of building your business or engaging with your community, Splash helps you do that with a true brand identity that is interactive and informative. You can also get an event page up and running very quickly. Organizing a successful event - we are able to generate a lot more excitement before the event kicks on. Helps our team create beautiful pages quickly. 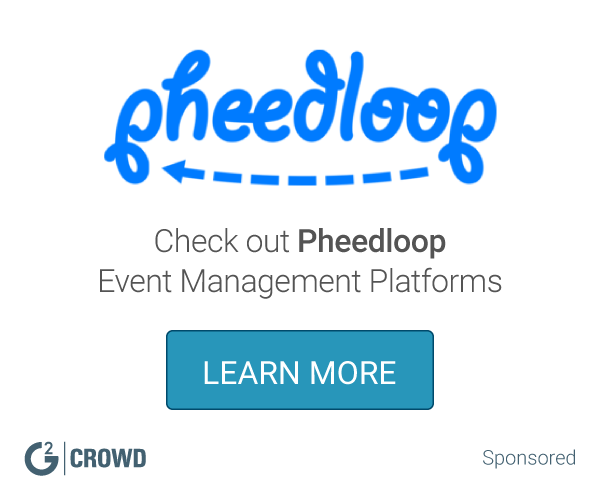 "The best Events Tool I've ever used!" I love that it syncs with Salesforce and the stock images it has in store. Can't complain about anything except that I wish we had more stock images for Australia and New Zealand. Or stock images of the Airbnb branding. RSVPS for my events in Salesforce are now documented more clearly. The invitations that I send out are aesthetically more pleasing and possibly may even increase the RSVP response rate. "In house Event Team at Healthcare Tech Company -- Splash's Biggest Fans"
Absolutely it's how user friendly Splash is. I've been an event planner for more than a decade and have usually worked with graphic designers on anything website/design related. With Splash, I have so much more control over my event pages and they look like they were professionally designed. It also allows my team to have access to all events we are doing as a company and be able to replicate the winning designs/formats very easily. Budget - on design time and website build costs. Event management overall - from guest lists to presenting speakers in a compelling way - it's all in one place. "Great Design & East of Use, But Buggy Product"
I have been using Splash for the past two years and am overall happy with the product that they offer. Splash rolls out new features on an ongoing basis, but don't QA them so they're often pretty buggy when they hit the market. Their service team also touts being a strategic partner, but I don't think that's the case. If the technical integrations (like SFDC and Marketo) are very important to you, there are other event products that will better support your needs. If design and being on-brand are your primary concern, Splash will allow you to create the best experience for your attendees. Splash allows us to stay on brand across our events, and to create and customize pages and emails without needing too much support from graphic designers or web developers. It's helped us scale our programs by using templates. "The best event software for large companies and enterprise"
Could be a bit buggy sometimes. Templates are very cool but if you want to create something custom there is quite a learning curve, it's not a "drag and drop" platform. "Fantastic platform for event marketing & management"
The landing pages on Splash are excellent. The designs are great, and the CMS for updating the page is user-friendly. The email tool is really good also. Combining both of these has majorly increased RSVP's for events. The check-in system is also a big plus and the integration with Salesforce works very well. Not a lot. I wish it was easier to create landing page / email templates to reuse. Right now, I usually just duplicate an event and make edits to that. Previously it was too time-consuming to create landing pages, emails, and Salesforce integrations for every event and we didn't have a good way to do digital check-in. Splash solves all those problems beautifully! "Easy to Use Software That Makes You Look Fancier Than You Are"
Splash is really easy to use and helps make beautiful immersive pages for your events. I have found it a lot useful than other solutions that charge more but aren't as beautifully designed and has a what you see is what you get page builder. I dislike that pricing isn't advertised. I wish I could do some more features but it seems like they only offer enterprise versions as a shared thing. As a small business I would like to use it for my events and pages but it doesn't seem to be an option. More pricing options. Design Pro would be a great starter product that my team would buy on its own to change pages to fit out needs. The product is great but I would like more flexibility without going enterprise for our team as we cannot afford to do that at this moment in time or in the foreseeable future. With our multiple events, we needed a solution that was cheap, visually appealing, and had space to keep all of the info on the event. It was really hard to find a solution that fit out budget that ALSO had all of the front page features that Splash had. It has been great working with it and made things simpler for our guests. Splash is my go-to tool for creating invites, managing RSVPs, and doing on-site check in. The layouts make an amateur designer like me feel good about the invitations I send to guests, and the support team always get back to me within a couple hours and are super helpful. I'm hungry for more. I want a feature for assigned seating, I want a way to capture business cards, I want more complex design features in the email sender. Splash has been awesome about taking my feedback so I hope these features are in the pipeline. Presently, I haven't heard of any other event app doing them, so I'm willing to see how Splash builds out these features. My firm hosts events every other week so we need a good way to manage RSVPs. We also don't have a professional graphics designed on our team so the easy-to-use layouts make me look like a rockstar without any formal training. Also, the on-site check in app is really easy to use so it helps me capture guests for CRM. It is a great platform because it is very intuitive and marketing Friendly. Also I love that it can be synchronized with other platforms like Marketo and that you can track URLs to get more data from the people that registered for your events. Also, I really love that you can clone existing forms, that helpsme save time and I really appreciate that. Great customer service too! I love it all! Maybe the data report can be more graphic , but the report you have has the basics and its ok for me. If you want to save time and use an easy to use platform for your event registration and information, this is the best platform. I host about 2 or 3 workshops a month so Splash is very useful for me in order to comunicate in a very simple way all the details and also obtening registrtions in the same place! Splash is innovative and user friendly. Great insights, customer service team and ability to customize any event whether big or small and send the right messaging is why I chose Splash over other companies. For our events, managing and understanding who checked in and attended the event is very helpful. Adding data to guests who did not rsvp helps us capture everyone who attended the event and previously we were missing individuals. Splash has been such a great tool for my team. It is easy to use and the design capabilities are amazing. The customer service is also incredible. There are some issues my developers run into but the Splash team is aware and working on resolving these issues. I also wish we could use tokens based on questions asked in the form. Splash solved our event automation process and ROI calculation. "Amazing experience with tons of helpful features!" Nothing really to dislike, it's just such a multi-faceted program that it helps to have a tutorial or colleague walk you through all of the features that you may not naturally discover on your own. Get a colleague to walk you through it! It is much easier to reach out to certain groups of clients and customize the look of our events. I would completely recommend Splash. "Great user interface for creating event communications"
Splash is very easy to use and has a great user interface to create the whole cycle for events from the invite, reminder, follow up and reporting. I like the user console as it has a lot of functionality that you do not have to search for. Would like more options as far as templates, but that may be a limitation by our company as we have only created a few. An easy to use self serve event marketing/management platform. What used to take days working with external teams (design, brand, etc.) now only takes minutes if you have all of your content. Splash has an amazing stock library that make invites look incredibly professional. All of the different options for customizing the landing page make for a stand out invite. I would prefer to be able to clone an event that has already taken place in the instance that we are doing a similar event in the same location. Quality looking invites that are concise across the entire company. Amazing onsite event check in process with direct sync to salesforce. "Delightful, easy-to-use event management tool"
The reporting capabilities are so useful especially wherein our own systems lack data analytic tools. Splash helps make up for some of our own lost reporting. It's easy to create beautiful landing pages in minutes. The system lacks the ability for walk-in ticket purchases specifically when we need to use a credit card swipe system or have some sort of backend POS. Take the Splash training for an extra boost to your creativity and effective landing pages! Splash is helping us solve some missing reporting that we can't get from our own system. Splash is a fantastic product that is both delightful to use and offers friendly features. The beautiful templates, the ease of using the templates and the robust support resources combined with the great and quick customer service are all great wins. There is not too much to add here, except it would be nice to be able to have more flexibility in changing the hard coded features, like the branding on the automated emails to the administrators, and the product jargon which is event specific. We use it for recruiting, so this is a very specific use case. We use Splash for our recruiting needs and as a ATS system. We are able to centralize and move our recruiting operations online and provide a better and simple experience to our candidates and recruiters. We use it every time we have an event in a WeWork building to control RSVPs and to get a database that we can use it for future leads and information. We also use it for marketing events to keep control of the information that is provided and of course to get a hold of all the people who RSVP, check in and cancel the event. It is a very useful tool to get information and research from hard data. Sometimes people think Splash could be a bit confusing or not user friendly. It fails at giving permission to people to become a collaborator. It is one of the best tools i have ever used to administrate an event that needs to be recorder, administrated and reviewed. It gives us real time information and creates an amazing data base that can prove statistics and provide information for further events. "Creating Events Faster with Splash"
Splash is intuitive, giving non-designers enough functionality (and guardrails) to create effective landing pages that function well across all devices. Splash makes it easy to clone event landing pages, too, which saves time when launching similar events. Splash functionality is lacking in regards to deep user behavior metrics out-of-the-box. Ideally, there would be a simple integration with Google Analytics, Mixpanel, and more. Consider if you are looking for design or marketing software. We found Splash to be a great design tool for non-designers, but the platform was lacking in deep marketing metrics. The greatest business problem my team is trying to solve is speed and brand consistency with event management. Splash certainly helped us shorten the time between conception and launch. I started using Splash about 2 years ago and it has definitely change the way I plan my events. I also look the check in app. It has saved me a lot of time during the craziness of the events. I wish we could reach out to customer service / technical team via telephone and not just via email. Make sure to attend the webinars. They usually give you great tips and sneak peeks for upcoming new features!! Splash allows my company to be creative and perfectly brand our events. The fact that we can fully customize our invite is great. To date, we've received great feedback from our clients re: the design of our invite. I love being able to easily customize everything in my invitation design - most importantly fonts, images, tiles - and create simple URLs for my attendees. As a graphic designer it's a joy to see beautifully designed invitations that are easy for even my less experienced colleagues. I have yet to find anything I dislike about Splash. Splash will make life so much easier! Splash allows my team to easily organize, invite and manage hundreds of seminars, meeting invitations and attendees - all of which once was a full-time job! And beautifully created and customized, too! "Very functional, not very customizable"
The best part about splash is that it is easy to open events to people who are not originally on the invite - you simply need to send or share the event invite link. It also allows you to put a lot of information onto the page about the event which is helpful, and it automatically syncs with participants' calendar. There are very few block choices and layouts. None of these layouts can be adjusted or customized. We find this particularly irritating for our events with speakers, as there are very few layout choices. Oftentimes, I have to repurpose blocks and get creative to get even close to the visual layout I want. Also, why does the checkin make your participants check in with their email instead of their name? This causes confusion every time as many people have personal and professional emails, and they can't remember which they registered with. 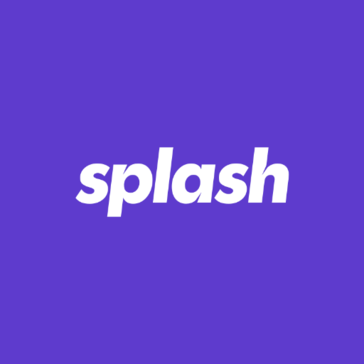 We use splash as our primary event invite platform. We switched from paperless, which is much more visually appealing but had less functionality. We also like that you can check in and track attendance through the platform. "The best event management and marketing platform!" Splash is the best because the platform itself works so well but more importantly, prosupport is so accessible and always quick to help. I've asked them so many questions and always receive amazing help from tricky code issues to something as simple as forgetting to press save. It sounds so cheesy but nothing, Splash does everything I need it to without any complications or stress. Splash has made our event management so seamless. It's amazing to be able to track guests, send emails and review event analytics all in one place. "Splash is the best thing that could happen to an event marketer!" I love how intuitive Splash is---it's like using a sleek mac after having to use a clunky PC for years. Their design is absolutely beautiful and makes my events look extra professional (despite the fact that I'm not the most design-savvy person). Their customer service is also top notch--I will always get a response within 30-40 minutes of sending a request to them. Some parts of the product do require more advanced design/coding knowledge, which can be annoying. Overall, though, this doesn't really affect the usability of the product. Use your account manager! They're super helpful, knowledgable and full of great ideas. The truly take all of our events to the next level. Splash also helps me keep all of our events and contacts organized and in the same place. Splash is super easy to use and self-teach! The event pages are sleek and professional. The Salesforce integration isn't perfect – if I create an event in Splash, then create the same event in Salesforce and add the Salesforce campaign ID retroactively, the event registrations don't always migrate from Splash to Salesforce automatically. Splash is a great product for recruiters – definitely would recommend! I use Splash to register attendees for on-campus recruitment events across the country. "Splash Makes Our Event Registrations A Breeze"
How easy it is to use, to pull reports and check attendees in. Splash is a game changer for our free events. With our past software, we were on the phone with their support team all of the time - which was less time on the phone with customers. With Splash we can easily create registration platforms for our events in minutes. A game changer for our business. I love the super easy interface, it's very intuitive to use. I've had an issue with uploading changes to an existing item. I find the Splash platform to be most helpful in providing a tracking page for RSVP's. They have great templates for invites, which you can customize to meet your specific vision, and it's got intuitive UX. RSVP's are hard to manage, Splash allows us to encourage people to RSVP to one location! Life saver! I like that it is somewhat customizable. Splash enable you to send out invites with a password so only the proper invitees may attend. The customizeable aspect of splash is great, but occasionally problematic. IT is very easy to mess up one part of the page and have that negatively impact other parts. Helping to create safe spaces for our users to fellowship. the uploading of custom invitations is not as user-friendly as I would hope it could be. simple click and upload. Relatively easy to setup and manage your event from rsvp to gauge attendees and check in guests on the day of the event. "Great tool for keeping track of B2B events"
The customization tools and how easy is to create a template, upload the database, send the invites and manage RSVP. Struggled a bit for getting all the settings, but overall it's a great tool. It's a great tool, with an easy learning curve. Pay attention to the onboarding and you should be able to use it from the first day. Mostly B2B events organization, follow up, and informative newsletters. "Platform you didn't know you needed!" "Splash has absolutely changed the invite and registration game for us. " I love the templatization - someone with limited experience can really making some beautiful and useful things within the tool. It thinks of things that I would often forget. I don't love the current confirmation system but I know this is something they are working on. I also have a love hate with their support tool. I like how anyone will respond but it's sometimes hard to track who else is on the email/communication. DO IT! They are incredible nice and have a great product. And are always improving! Well designed and engaging invites and registration pages. We've been able to uplevel our experience from the first touch point. Splash Market helps me create event landing pages effortlessly. The stock photos provided on the website are fantastic and aid me in creating eye-catching content. I wish there were more options to organize the layout of the page with less restriction and the formatting of the text boxes themselves. Inviting our Driver Community to many events through SMS communications with the splashthat links included. The ability to collect the RSVPs digitally makes it easy for our team to share data across events. "Great platform depending on role and usgae"
It's very user-friendly and intuitive, with a lot of options for customization based on the event and organization's needs. We're able to communicate our branding and streamline elements like check in. Their support team is always available to help. There are some features that could be helpful, such as email automation, that aren't currently options. Anything design-related is extremely difficult if you don't have a design background. It has streamlined our event management and allowed for consistent branding and messaging. "Easy to use page building platform"
I love how Splash has prebuilt, modern templates ready to go. Their platform is very intuitive and easy to learn. If you want to go a step further, Splash offers free training and around the clock customer service via email. Since signing up for Splash over a year ago, I've seen countless features we've requested be added to the arsenal. I've heard through the grapevine Splash will be initiating a help desk call center. It would be great to be able to speak on the phone with a real person when you get in a bind. Splash gave us access to our own metrics dashboard which has made all the difference in tracking ROI for our events. This dashboard is easy to use and tracks various data points over time. Before Splash, this all had to be done manually. * We monitor all Splash reviews to prevent fraudulent reviews and keep review quality high. We do not post reviews by company employees or direct competitors. Validated reviews require the user to submit a screenshot of the product containing their user ID, in order to verify a user is an actual user of the product. Hi there! Are you looking to implement a solution like Splash?